My Dog is Heartworm Positive, Now What? 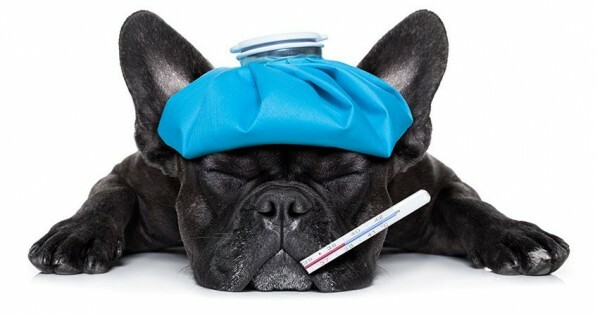 My Dog is Heatworm Positive, Now What? Heartworm tests have begun for the season. We always hope when the results come in not come across one that is positive, but sadly, sometimes we do. So what exactly does it mean if your dog is heartworm positive? If your dog’s annual heartworm test comes back positive it means that your dog became infected with heartworm in the previous warm season. Your dog was bitten by a mosquito who picked up heartworm from a heartworm positive dog and transmitted it to your dog. Your dog now is heartworm positive and requires treatment by your veterinarian. Treatment for heartworm includes oral pre-treatment prior to the actual injectable treatment. This pre-treatment helps to decrease the chances of reactions. Following is a series of intra-muscular injections administered by your veterinarian. This injection is the drug that kills the worms. The drug used to treat heartworm is not readily available and is very expensive. Treatment for heartworm can be very painful for the patient and patients may need to be hospitalized at any time during the treatment. There can be reactions to the drug, reactions to the worms dying along with complications of the worms dying, stroke, pain at the injection site and most terribly, death. Once treatment has started, strict rest is essential, no running, no jumping, no playing. The recovery can be further complicated and detrimental to the dog’s health if proper rest regime is not followed. 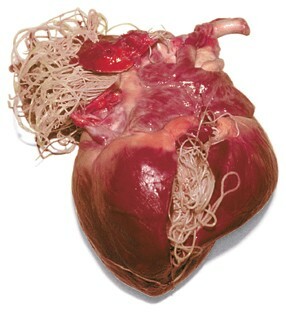 Treatment for heartworm can be expensive and on average ranges from $800-1000 if uncomplicated. This cost would be equivalent to providing heartworm prevention for your dog for 13 years. This is why we recommend to prevent rather than treat. Prevention is safer, easier and more cost effective than having to treat your dog for heartworm.